Before :- Anil R. Dave and L. Nageswara Rao, JJ. Civil Appeal No. 2649 of 2016. D/d. 28.10.2016. With Civil Appeal No. 2829 of 2016. For the Appellants (C.A. No. 2649 of 2016) :- Sapam Biswajit Meitei, Naresh Kumar Gaur, Ms. Linthoingambi Thongam, Ms. Punam Kumari, Advocates. For the (C.A. No. 2829) :- Ms. Meenakshi Arora, Sr.Adv., Lenin Hijam, Pratik R. Mombarde, A.D. Tamboli, Vasav V., S. Gowthaman, Advocates. For the Respondents :- Ms. Meenakshi Arora, Sr.Adv., Lenin Hijam, Pratik R. Mombarde, A.D. Tamboli, Vasav V., S. Gowthaman, Sapam Biswajit Meitei, Naresh Kumar Gaur, Ms. Linthoingambi Thongam, Ms. Punam Kumari, Advocates. The Appellant has filed this appeal aggrieved by the judgment of the High Court of Manipur at Imphal by which his election to the Manipur Legislative Assembly from Moirang Assembly constituency was declared as void. 2. A Notification was issued for election to the 10th Manipur Legislative Assembly on 04.01.2012. The Appellant belonging to the Nationalist Congress Party (NCP) and the Respondent who was sponsored by the Indian National Congress (INC) filed their nominations within the time prescribed. There was no other nomination filed. The Respondent objected to the nomination of the Appellant at the time of scrutiny on the ground that a false declaration relating to educational qualification was made by the Appellant. The Returning Officer directed the Appellant to submit documents in proof of his educational qualification as declared in the affidavit filed under Form 26. The Appellant failed to produce any document to prove his educational qualification in spite of which the Returning Officer accepted the nomination of the Appellant. Polling took place on 28.01.2012 and the counting of votes was held on 06.03.2012. The result was declared on the same day. The Appellant secured 14,521 votes and the Respondent secured 13,363 votes. The Appellant was declared elected as MLA, Moirang Constituency. 3. The Respondent challenged the election of the Appellant by filing an election petition in the Guwahati High Court seeking a declaration that the Appellant's election was null and void, that the Respondent should be declared as duly elected and that a criminal proceeding should be directed to be initiated against the Appellant under Section 125-A and 127 of the Representation of the People Act, 1951 (hereinafter referred to as `the Act'). Apart from the ground of improper acceptance of nomination, the Respondent also alleged corrupt practices against the Appellant. i) "Whether the Returning Officer of 27th Moirang AC has illegally accepted the nomination paper of the respondent or not? ii) Whether the election of the respondent had been materially affected by the acceptance of the nomination paper of the respondent by the R.O. of 27th Moirang A/C or not? iii) Whether the respondent had filed false affidavit in respect of the highest education qualification in the Form, in which the respondent had mentioned "MBA Mysore University" or whether it was merely a clerical error? iv) Whether the petition lacks material facts or not? v) Whether the election petition is liable to be dismissed for not putting the words "attested to be true copy of the petition" on each and every page of the petition by the petitioner himself or not; or on any of the defects raised by the respondent in his written statement? 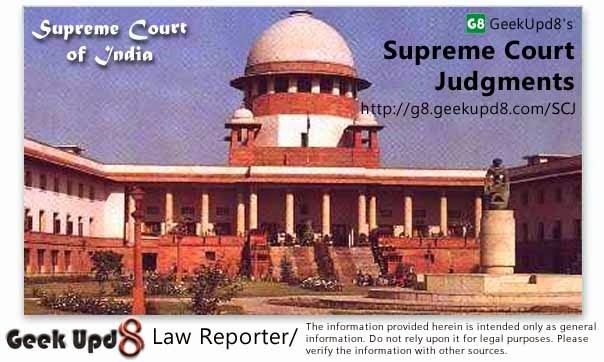 vi) Whether the petitioner is entitled to the relief claimed in the writ petition?" 5. Issue No. 5 pertains to attestation of the petition not being made properly. The objection raised by the Appellant to the maintainability of the election petition was that only the front page of the election petition had the words "Attested to be true copy." Issue No. 5 was answered in favour of the Respondent. The High Court considered the main controversy pertaining to the filing of false affidavit regarding the educational qualification by the Appellant in a detailed manner. There is no doubt that the Appellant filed Form 26 in which he mentioned his educational qualification as MBA from Mysore University in 2004. After careful consideration of the material on record and various judgments cited by the parties, the High Court concluded that the declaration made by the Appellant in Form 26 about his educational qualification as MBA from Mysore University was false. The plea of the Appellant that the defect in Form 26 was due to a clerical error was rejected. The contention of the Appellant that providing wrong information about the educational qualification was not a defect of substantial character was also rejected. The Appellant contended that the Respondent failed to plead and prove that the result was `materially affected' as required under Section 100 (1) (d) of the Act. The High Court did not accept the said contention on the ground that there were only two candidates in the fray in which case it was not necessary to prove that the result of election of the returned candidate was materially affected. The High Court further held if it is found that the Appellant's nomination was improperly accepted, the result of his election stood automatically affected materially. The High Court on the basis of the above reasons declared the election of the Appellant as void. The Appellant has filed this appeal challenging the same. 6. We have heard Mr. V. Giri, learned Senior Counsel for the Appellant and Ms. Meenakshi Arora, learned Senior Counsel for the Respondent. Mr. Giri submitted that the declaration pertaining to the educational qualification of the Appellant was merely a clerical error and cannot be termed as a false declaration. In any event, the declaration of educational qualification is not a defect of substantial nature warranting rejection of his nomination. Mr. Giri also submitted that the election petition was filed under Section 100 (1) (d) (i) and (iv) of the Act. He stated that there is neither pleading nor proof in the election petition that the improper acceptance of the Appellant's nomination had materially affected the result. According to Mr. Giri, the Appellant's election cannot be set aside on the ground of improper acceptance of his nomination without the requirement of Section 100 (1) (d) of the Act being satisfied. He referred to Durai Muthuswami v. N. Nachiappan and Ors. reported in 1973 (2) SCC 45 and submitted that the said judgment should be restricted to the facts of that case. He also attempted to distinguish the said judgment as not applicable to the facts of this case by submitting that it was a case of disqualification under Section 9-A of the Act. He further submitted that the said case was one filed under Section 100 (1) (a) of the Act. He contended that there is no need for pleading or proving that the result was materially affected if the election is challenged under Section 100 (1) (a) to (c) whereas it is compulsory in a petition filed under Section 100 (1) (d). 7. Ms. Meenakshi Arora, learned Senior Counsel, argued that the Respondent pleaded in the election petition that the result of the election was materially affected by the improper acceptance of the nomination of the Appellant. She took us through the pleadings and evidence, both oral and documentary, to contend that the declaration of educational qualification by the Appellant was not a mistake. She submitted that the same declaration was made by the Appellant even when he contested the earlier election to the Legislative Assembly in 2008. She also highlighted the contradictory stands relating to the declaration taken by the Appellant. She submitted that it was not necessary to show that the result of the election was materially affected when there were only two contesting candidates for one seat. She relied upon the judgment in Durai Muthuswami (supra) which according to her, was approved in Jagjit Singh v. Dharam Pal Singh , reported in 1995 Supp (1) SCC 422. She further relied upon Union of India v. Association for Democratic Reforms, reported in 2002(2) R.C.R. (Civil) 640 : 2002 (5) SCC 294, People's Union for Civil Liberties (PUCL) v. Union of India, reported in 2003 (4) SCC 399, Kisan Shankar Kathore v. Arun Dattatray Sawant reported in 2014 (14) SCC 162and Resurgence India v. Election Commission of India and Anr. reported in 2013(4) R.C.R. (Civil) 392 : 2013(5) Recent Apex Judgments (R.A.J.) 296 : 2014 (14) SCC 189 in support of her submission that a voter has a right to know about the educational qualification of the candidate and any false or mis-declaration would result in rejection of the nomination of the candidate. Ms. Meenakshi Arora also cited Hari Krishna Lal v. Babu Lal Marandi reported in 2004(1) R.C.R. (Civil) 27 : 2003 (8) SCC 613 to contend that the false declaration relating to the educational qualification of a candidate is a defect of substantial character. (a)Whether a false declaration relating to the educational qualification is a defect of substantial character warranting rejection of a nomination? (b)Whether it is necessary to plead and prove that the result was materially affected when the nomination of the returned candidate was found to have been improperly accepted, moreso, when there are only two candidates contesting the election? "36. Scrutiny of nomination. - (4) The Returning Officer shall not reject any nomination paper on the ground of any defect which is not of a substantial character." "[4A. Form of affidavit to be filed at the time of delivering nomination paper.- The candidate or his proposer, as the case may be, shall, at the time of delivering to the returning officer the nomination paper under subsection (1) of section 33 of the Act, also deliver to him an affidavit sworn by the candidate before a Magistrate of the first class or a Notary in Form 26.]" (d) that in all other respects the election was free from any corrupt 7 *** practice on the part of the candidate or any of his agents, then 2 [the High Court] may decide that the election of the returned candidate is not void." (iii) conceals any information, in his nomination paper delivered under sub-section (1) of section 33 or in his affidavit which is required to be delivered under sub-section (2) of section 33A, as the case may be, shall, notwithstanding anything contained in any other law for the time being in force, be punishable with imprisonment for a term which may extend to six months, or with fine, or with both.]" "At the bottom of all tributes paid to democracy is the little man, walking into a little booth, with a little pencil, making a little cross on a little bit of paper - no amount of rhetoric or voluminous discussion can possibly diminish the overwhelming importance of the point." (D) The contention that as there is no specific fundamental right conferred on a voter by any statutory provision to know the antecedents of a candidate, the directions given by this Court are against the statutory provisions is, on the face of it, without any substance. In an election petition challenging the validity of an election of a particular candidate, the statutory provisions would govern respective rights of the parties. However, voters' fundamental right to know the antecedents of a candidate is independent of statutory rights under the election law. A voter is first citizen of this country and apart from statutory rights, he is having fundamental rights conferred by the Constitution. Members of a democratic society should be sufficiently informed so that they may cast their votes intelligently in favour of persons who are to govern them. Right to vote would be meaningless unless the citizens are well informed about the antecedents of a candidate. There can be little doubt that exposure to public gaze and scrutiny is one of the surest means to cleanse our democratic governing system and to have competent legislatures." 15. It is relevant to mention that the Election Commission of India issued a press note on 28.06.2002 in which there was a reference to the judgment of this Court in Union of India v. Association for Democratic Reforms in which it was held that information on five aspects has to be provided to the voter. One of the five aspects pertains to the educational qualification of the candidates. An order was issued by the Election Commission of India on 28.06.2002 directing that full and complete information relating to the five aspects which were mentioned in the judgment has to be furnished. Providing incomplete information or suppression of material information on any of the five aspects was to be treated as a defect of substantial character by the Returning Officers. 16. In Resurgence India v. Election Commission of India and Anr. (supra) this Court held that every candidate is obligated to file an affidavit with relevant information with regard to their criminal antecedents, assets and liabilities and educational qualification. The fundamental right under Article 19 (1) (a) of the voter was reiterated in the said judgment and it was held that filing of affidavit with blank particulars would render the affidavit as nugatory. In Kisan Shankar Kathore v. Arun Dattatray Sawant reported in 2014(3) R.C.R. (Civil) 131 : 2014(3) Recent Apex Judgments (R.A.J.) 424 : 2014 (14) SCC page 162 this Court considered the question as to whether it was incumbent upon the Appellant to have disclose the information sought for in the nomination form and whether the non-disclosure thereof render the nomination invalid and void. It was held that non-furnishing of the required information would amount to suppression/non-disclosure. 17. It is clear from the law laid down by this Court as stated above that every voter has a fundamental right to know about the educational qualification of a candidate. It is also clear from the provisions of the Act, Rules and Form 26 that there is a duty cast on the candidates to give correct information about their educational qualifications. It is not in dispute that the Appellant did not study MBA in the Mysore University. It is the case of the Appellant that reference to MBA from Mysore University was a clerical error. It was contended by the Appellant that he always thought of doing MBA by correspondence course from Mysore University. But, actually he did not do the course. The question which has to be decided is whether the declaration given by him in Form 26 would amount to a defect of substantial nature warranting rejection of his nomination. Section 36 (4) of the Act mandates that the Returning Officer shall not reject a nomination paper on the ground of any defect which is not of a substantial character. The declaration made by the Appellant in Form 26, filed in 2012 is not a clerical error as contended by him. The Appellant contested election to the same constituency in 2008 and in the affidavit filed by him in Form 26 he declared that he passed MBA from Mysore University in 2004. In the affidavit filed by him in this election petition by way of examination-in-chief, the Appellant stated that his nomination paper and the enclosed affidavit were prepared and filed by his counsel Chakpam Bimolchandra Singh on the instructions of his agent Ph. Shamu Singh. He also stated that his counsel filled the prescribed affidavit in his own hand-writing. The Appellant also stated that he signed the affidavit without reading the contents and he came to know about the error only when the Respondent raised his objection to the nomination. The Appellant further stated that he was working in Projeon, Infosys Company and IBM till 2007 and because of his job many local friends and elders thought that he was an MBA degree-holder. His election agent also thought that he was holding an MBA degree due to which he instructed the Advocate Chakpam Bimolchandra Singh to fill up column 9 of the affidavit by stating that the Appellant is an MBA degree-holder. In his cross-examination, the Appellant gave evasive replies to the questions relating to his educational qualification. 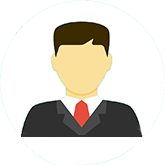 He stated that he does not remember whether he had undergone MBA from Mysore University and he does not remember whether he possesses MBA degree. Chakpam Bimolchandra Singh who was examined as DW-3 in his cross-examination denied having filled up the entries in Form 26. He stated that he entered the educational qualifications of the Appellant on the basis of instructions given by the election agent Shamu Singh. He also stated that he was not present before the Oath Commissioner when the Appellant signed the affidavit. 18. The contention of the Appellant that the declaration relating to his educational qualification in the affidavit is a clerical error cannot be accepted. It is not an error committed once. Since 2008, the Appellant was making the statement that he has an MBA degree. The information provided by him in the affidavit filed in Form 26 would amount to a false declaration. The said false declaration cannot be said to be a defect which is not substantial. He was given an opportunity by the Returning Officer to produce the relevant document in support of his declaration. At least at that point of time he should have informed the Returning Officer that an error crept into the declaration. He did not do so. The false declaration relating to his educational qualification cannot be stated to be not of a substantial character. It is no more res integra that every candidate has to disclose his educational qualification to subserve the right to information of the voter. Having made a false declaration relating to his educational qualification, the Appellant cannot be permitted to contend that the declaration is not of a substantial character. For the reasons stated supra, we uphold the findings recorded by the High Court that the false declaration relating to the educational qualification made by the Appellant is substantial in nature. "20. Coming to the allegation that other candidates had also not submitted affidavits in proper format, rendering the acceptance of their nomination papers improper, we need to point out that the appellant was required to not only allege material facts relevant to such improper acceptance, but further assert that the election of the returned candidate had been materially affected by such acceptance. There is no such assertion in the election petition. Mere improper acceptance assuming that any such improper acceptance was supported by assertion of material facts by the appellant-petitioner, would not disclose a cause of action to call for trial of the election petition on merit unless the same is alleged to have materially affected the result of the returned candidate." 20. There is no dispute that an election cannot be set aside on the ground of improper acceptance of any nomination without a pleading and proof that the result of the returned candidate was materially affected. The point to be considered is whether the law as laid down by this Court relating to the pleading and proof of the fact of the result of the returned candidate being materially affected applies to a case where the nomination of the returned candidate is declared to have been improperly accepted. A situation similar to the facts of this case arose for consideration of this Court in Durai Muthuswami's case. It is necessary to deal with this case in detail as the Counsel for the Appellant submitted that the said judgment is not applicable to the facts of the present case and that finding in the said case have to be treated as obiter. "21. The trial Judge has held that since there is no averment in the petition that the result of the election was materially affected by improper rejection or acceptance of votes, it is devoid of cause of action. We are unable to agree that the absence of such an averment in the facts of this case is fatal. As pointed out by this Court, there may be cases where the obvious conclusion to be drawn from the circumstances is that the result of the election has been materially affected and that Section 100(1)(d) of the Act is not intended to provide a convenient technical plea in a case where there can be no dispute at all about the result of the election being materially affected by the alleged infirmity. (See: Durai Muthuswami v. N. Nachiappan [(1973) 2 SCC 45 : (1974) 1 SCR 40] .) In the present case, the appellant in the election petition has stated that he has lost by a margin of 80 votes only. From the various averments in the election petition it was evident that the number of valid votes of the appellant which are alleged to have been improperly rejected is much more than 80. From the averments contained in the election petition it is thus obvious if the appellant succeeds in establishing his case as set out in the election petition the result of this election, insofar as it concerns the returned candidate, would be materially affected." (3) where the person whose nomination has been improperly accepted is the returned candidate himself. It is agreed that in the first case the result of the election is not materially affected because if all the wasted votes are added to the votes of the candidate securing the highest votes, it will make no difference to the result and the returned candidate will retain the seat. In the other two cases it is contended that the result is materially affected. So far as the third case is concerned it may be readily conceded that such would be the conclusion. But we are not prepared to hold that the mere fact that the wasted votes are greater than the margin of votes between the returned candidate and the candidate securing the next highest number of votes must lead to the necessary inference that the result of the election has been materially affected. That is a matter which has to be proved and the onus of proving it lies upon the petitioner. It will not do merely to say that all or a majority of the wasted votes might have gone to the next highest candidate. The casting of votes at an election depends upon a variety of factors and it is not possible for any one to predicate how many or which proportion of the votes will go to one or the other of the candidates. While it must be recognised that the petitioner in such a case is confronted with a difficult situation, it is not possible to relieve him of the duty imposed upon him by Section 100(1)(c) and hold without evidence that the duty has been discharged. Should the petitioner fail to adduce satisfactory evidence to enable the Court to find in his favour on this point, the inevitable result would be that the Tribunal would not interfere in his favour and would allow the election to stand." "Once it is found that it was a case of improper acceptance, as there was misinformation or suppression of material information, one can state that question of rejection in such a case was only deferred to a later date. When the Court gives such a finding, which would have resulted in rejection, the effect would be same, namely, such a candidate was not entitled to contest and the election is void." 23. Mere finding that there has been an improper acceptance of the nomination is not sufficient for a declaration that the election is void under Section 100 (1) (d). There has to be further pleading and proof that the result of the election of the returned candidate was materially affected. But, there would be no necessity of any proof in the event of the nomination of a returned candidate being declared as having been improperly accepted, especially in a case where there are only two candidates in the fray. If the returned candidate's nomination is declared to have been improperly accepted it would mean that he could not have contested the election and that the result of the election of the returned candidate was materially affected need not be proved further. We do not find substance in the submission of Mr. Giri that the judgment in Durai Muthuswami (supra) is not applicable to the facts of this case. The submission that Durai Muthuswami is a case of disqualification under Section 9-A of the Act and, so, it is not applicable to the facts of this case is also not correct. As stated supra, the election petition in that case was rejected on the ground of non-compliance of Section 100 (1) (d). The said judgment squarely applies to this case on all fours. We also do not find force in the submission that the Act has to be strictly construed and that the election cannot be declared to be void under Section 100 (1) (d) without pleading and proof that the result of the election was materially affected. There is no requirement to prove that the result of the election of the returned candidate is materially affected once his nomination is declared to have been improperly accepted. 24. For the aforementioned reasons, the Civil Appeal is dismissed. No costs. 25. This appeal is filed by the Petitioner in the election petition challenging that part of the judgment dated 29.02.2016 of the High Court Manipur at Imphal, by which the relief that he should be declared to be elected was rejected. The Appellant contested the election as a candidate of the Nationalist Congress Party (NCP). Respondent No.1 was declared to have been elected on 28.01.2012. The election of the First Respondent was set aside by the High Court in the election petition filed by the Appellant. The Appellant also sought for a relief that he should be declared to have been elected. Such relief was rejected by the High Court. Hence, this appeal. 26. After the result of the election was declared on 28.01.2012, the Appellant resigned from NCP and joined Bhartiya Janta Party (BJP). To a question posed by the Court during the recording of his evidence, the Appellant stated that he tendered resignation from NCP in the latter part of 2013, that he joined BJP and he continued to be a member of the BJP. In January, 2016, the Appellant filed an application for amendment to the election petition. He intended to insert additional submissions relating to his expulsion from NCP on 23.12.2013 and the representation made by him to the President NCP Manipur to cancel the expulsion order. He also wanted to bring on record the fact that his enrolment to the membership of BJP was rejected on 18.01.2016. He further stated in the application that the order of expulsion by the NCP was revoked by an order dated 21.01.2016. 27. The arguments in the election petition filed by the Appellant were concluded on 25.02.2016. The High Court recorded a finding in the impugned judgment that all the pending miscellaneous applications were disposed of with the consent of both sides and the election petition was to be adjudicated on the basis of existing material on record. As the miscellaneous application filed by the Appellant was not considered, the High Court decided the matter on the basis of the material on record which clearly showed that the Appellant resigned from NCP and joined BJP. After a careful consideration of the material on record, the High Court refused to grant the declaration as sought by the Appellant. The High Court held that having joined BJP, the Appellant was not entitled for a declaration as he contested the election in 2012 on behalf of NCP. The High Court highlighted the fact that the Appellant will be an MLA belonging to BJP, if declared elected after having contested the election on behalf of the NCP. Taking into account the spirit of law as expressed in paragraph no. 2 of the 10th Schedule of the Constitution of India the High Court did not grant the relief sought by the Appellant that he should be declared elected. 28. Ms. Meenakshi Arora, learned Senior Counsel appearing for the Appellant submitted that the 10th Schedule to the Constitution is not applicable to adjudication of an election petition. She relied upon Section 53 (2) of the Act to contend that the Appellant should be declared as duly elected as he was the only person remaining in the fray after the election of respondent/returned candidate was declared void. Section 101 of the Act provides for declaration of the Petitioner to have been duly elected if the High Court is of the opinion that the Petitioner received majority of the valid votes. 29. According to Section 80 (A) of the Act, the High Court will have the jurisdiction to try an election petition. It is well settled law that the High Court hearing an election petition is not an `authority' and that it remains the High Court while trying an election petition under the Act. (See T. Deen Dayal v. High Court of A.P., 1997(4) R.C.R. (Criminal) 289 : 1997 (7) SCC 535 at page 540. This Court in Hari Shanker Jain v. Sonia Gandhi, 2001 (8) SCC 233 at page 244 upheld the decision of a Full Bench of the Rajasthan High Court wherein it was decided that the jurisdiction of the High Court to try an election petition is not by way of constituting a special jurisdiction and conferring it upon the High Court. It is an extension of the original jurisdiction of the High Court to hear and decide the election disputes. It is clear from the above judgments of this Court that the inherent power of the High Court is not taken away when the election disputes are adjudicated. Section 53 (2) is a power conferred on the Returning Officer to declare a candidate elected when the number of candidates is equal to the number of seats to be filled. The power of the High Court is not fettered by Section 53 (2). The High Court has taken into consideration an anomalous situation that would arise by a candidate belonging to one party being declared elected after having crossed the floor. We are in agreement with the High Court and we do not intend to interfere with the discretion exercised by the High Court. 30. For the aforesaid reasons, the Civil Appeal is dismissed. No order as to costs.